Someone has grown up from the newborn phase and is all set to rock the infant stage...right? With the start of the second month, there's so much interesting that is in store for you! If you are lucky, you may catch the very infant hints of a smile! Keep talking to your baby as much as you can. This will help set the first basis of communication for baby. 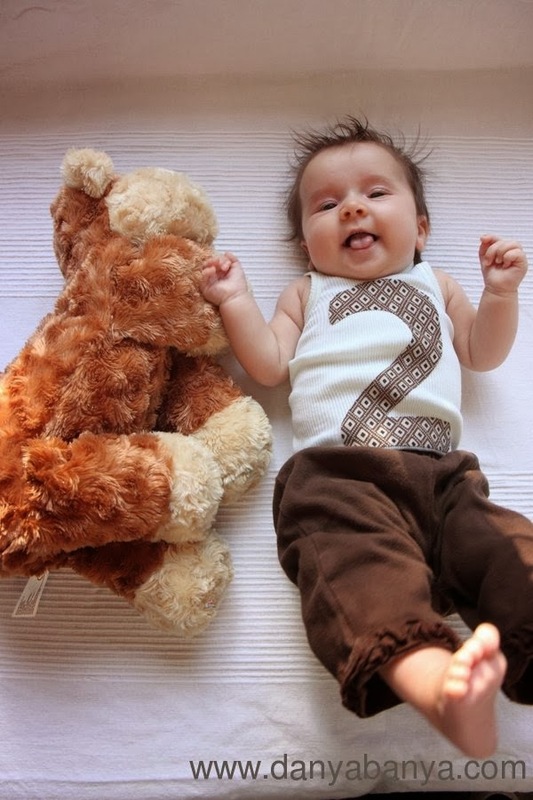 At two months, your baby can understand and observe colours and things. Hold toys or objects with bright colours in front of baby. This will aid in their visual stimulation. Talk to your baby as much as you can. Your baby will be able to understand different voices now. Of course baby will be crying, but not all crying is out of hunger. Check baby's crying signals to understand what baby wants. Make sure your baby is sleeping on the back and not on the tummy. Most cases of SIDS (Sudden Infant Death Syndrome) take place with babies who are sleeping on their tummy. While you may see a pattern emerging, most babies will not sleep through the night this early in life. Baby will need to be fed every 2 hours, or 2-3 hours, in the middle of the night, depending on baby's hunger. A 2 month baby will have some movement, so make sure the crib is empty. Remove pillows, blankets, toys and anything else. Do remember that each baby is special and each milestone is reached at baby's own sweet pace...so no comparisons please! !